[SatNews] Global satellite solutions provider SES Government Solutions (SES GS) announced today that it has been awarded a five-year contract by the University of Colorado to host a NASA funded payload on board SES-14. The Global-scale Observations of the Limb and Disk (GOLD) mission will examine the response of the upper atmosphere to forcing from the Sun, the magnetosphere and the lower atmosphere. 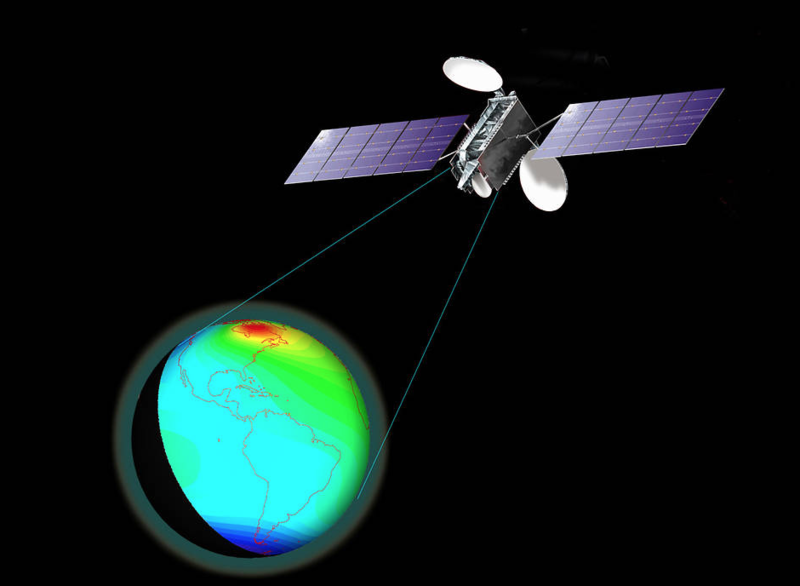 The primary purpose of the Global-Scale Observations of the Limb and Disk (GOLD) mission is to revolutionize the understanding of the space environment by filling the critical gap in knowledge of Sun-Earth connections. The hosted payload will transmit data of the Sun’s impact on the Earth’s thermosphere and ionosphere from Geostationary (GEO) orbit. Both of these layers of the Earth’s upper atmosphere are very sensitive to space weather events and space climate, with potential societal impacts. Uncertainties in the thermosphere are a primary source of uncertainty for operating satellites in low Earth orbit. Fluctuations in the ionosphere interfere with signals from communications and global positioning satellites. The contract includes satellite construction, launch and two years of on-orbit operations, with options to extend on an annual basis. The satellite has a life expectancy of 15 years. Launching in 2017, SES-14 will replace SES’s NSS-806 satellite at 47.5/48 degrees West.